Home > Tomohiko Tsujimoto > Miku's star continues to rise; she's doing ballet next! 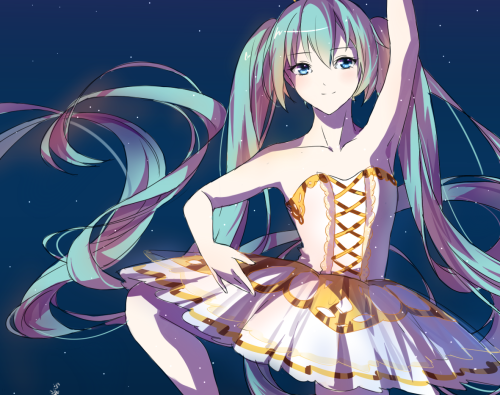 Miku's star continues to rise; she's doing ballet next! It's not enough that she's voiced thousands of music tracks, sold out concerts across the world, appeared in best-selling games and even modelled haute couture (Victoria's Secret next, please). No, Miku continues to prove just why digital people are so much better; they can do anything, and tirelessly. Now she's going to star as a ballet dancer. 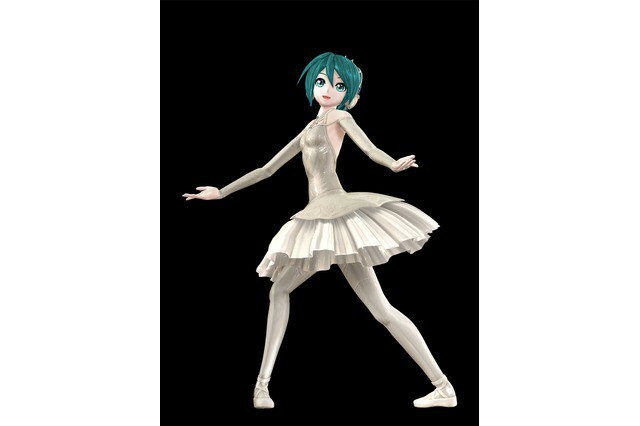 Ballet and Miku is literally mixing my two favourite things together, so I am all kinds of excited for this news. According to a story on Anime News Network, Miku will be dancing in a series of Dr. Coppelius concerts; a special collaboration performance series that is being pulled together in memory of the late composer and synthesizer artist Isao Tomita. She's been choreographed by Tomohiko Tsujimoto, a dancer in the first Japanese Cirque du Soleil, who will also dance alongside her. Given that Miku needs a complex set of projectors and screens to appear "live," I'm not entirely sure how this will work, but I guess that's the job of a good choreographer. Regardless, I'm excited to see how it pans out, if for no other reason that it continues to develop my pet favourite theme around the increasing cross over between the real and digital worlds. Now performers are going to be interacting with Miku in their performances!